A new study shows that children suffering from asthma are unnecessarily prescribed antibiotics for treatment even though guidelines do not support this. Asthma is a chronic disease which affects the airways that become inflamed and narrow due to excess mucous and thus, making it difficult to breathe. During as asthma attack, a person may suffer from difficulty in breathing, chest pain, cough and wheezing. 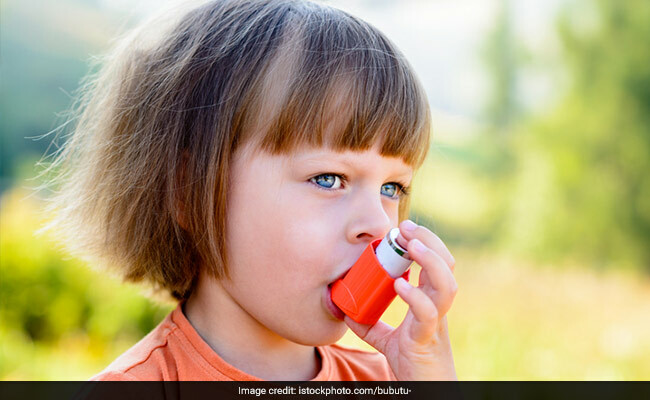 While asthma can be usually managed with the help of medicinal inhalers that treat and prevent symptoms, a new study shows that children suffering from asthma are unnecessarily prescribed antibiotics for treatment even though guidelines do not support this. The study was presented at the European Respiratory Society International Congress 2017 in Italy and it claims that asthma symptoms are often mistaken for a respiratory tract infection and kids are given antibiotics as a preventative measure. The researchers warn that overuse of antibiotics in children can lead to drug-resistant infections, as well as leave kids at high risk of a future infection that is difficult to treat. According to Esme Baan from the Erasmus University, in the Netherlands. "International and national guidelines clearly state that antibiotics should not be given for a deterioration in asthma symptoms, because this is rarely associated with a bacterial infection. Inappropriate use of antibiotics can be bad for individual patients and the entire population, and makes it harder to control the spread of untreatable infections." For the study, the team included 1.5 million children from the UK, including around 150,000 with asthma, and a further 375,000 from The Netherlands, including around 30,000 with asthma. They found that children with asthma were approximately 1.6 times more likely to be prescribed antibiotics, compared to children who do not have asthma. "Antibiotics should only be given when there is clear evidence of a bacterial infection such as for pneumonia. However, we saw that, in children with asthma, most of the antibiotic prescriptions in children were intended for asthma exacerbation or bronchitis, which are often caused by a virus rather than bacteria," Baan concluded. Try these natural antibiotics that are available in every Indian kitchen instead. 1. Honey: Honey is one of the oldest natural antibiotics known to us. According to Dr. Rajeev Chabra, HoD, Pediatrics at the Artemis Hospital in Gurgaon, "Honey is helpful in both prevention and treatment of respiratory illnesses. Honey provides great relief to children suffering from constant respiratory troubles." 2. Ginger: Ginger is an effective home remedy for throat infections. Sucking a piece of raw ginger and taking in all its juices is known to cure cough and kill the bacteria that has caused the infection. 3. Onions: These are enriched with anti-inflammatory, antibacterial properties that can help relieving the inflamed airway. Sulphur in onions helps with inflammation. "Consume these raw in salads or cooked in vegetables. You can also make a mixture of onion juice (1/4 cup), honey (1 teaspoon) and ground pepper (a pinch) and consume it twice a day to get instant relief," suggests Ayurveda Expert Dr. Ashutosh Gautam. 4. Oregano Oil: Oregano oil acts as a natural antibacterial agent. It helps in supporting bronchial health. Carvacrol, an ingredient found in oregano essential oil, is known to have important healing properties. It can be consumed in small quantities by mixing it with coconut oil.